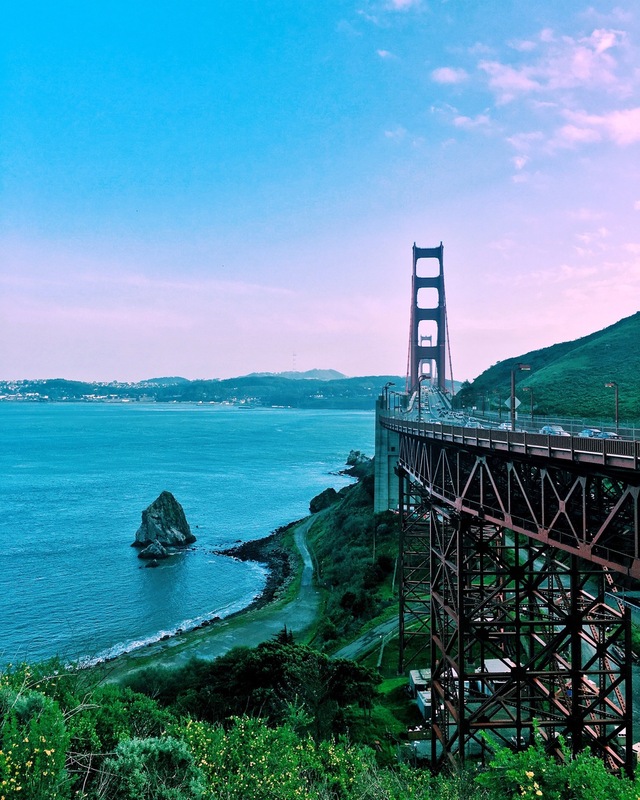 When in San Fransisco recently, I walked 3 miles across the Golden Gate Bridge from Marin County to the northern tip of the San Fransisco Peninsula. I took these images with an iPhone 6S Plus, they have been enhanced with the VSCO and Instagram apps. The bridge is such an incredible structure and walking across it was a surreal experience because of its grand scale. One of the most fascinating things to me was the sheer scale of the bridge. When walking towards the towers they feel so incredible tall as if they were built for a giant. Images just cant convey how huge the towers are, however big they look in pictures, they feel 100x taller when standing underneath them. To get a sense of the scale, the 2 main cables that run across the top of each side are nearly 1 metre thick and are made up 27,572 wires each. Although the day started up sunny, clouds started to roll into the San Fransisco Bay area. I edited these photos above in a way that embraces the clouds instead of trying to hide them. The water and hills in the background have a greenish tint to them which contrasts and compliments with the red paint on the bridge. A red and yellow cargo ship passing underneath looked much smaller when viewed from the heights of the bridge. After going from sunny to cloudy, it then started to pour down with rain. The rain created a surreal atmosphere of the bridge and almost felt like a movie set. 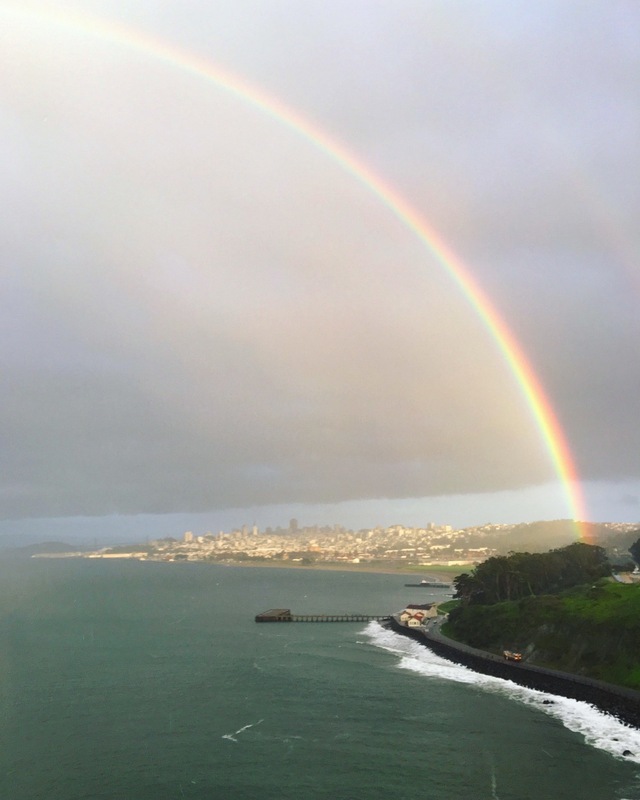 Then in the direction of the San Fransisco Bay I spotted a big, bright rainbow spanning the whole scene in front of me. This made the experience even more spectacular and surreal as both ends were visible and a second rainbow was visible behind. It was such an incredible experience walking the bridge and San Fransisco has quickly become one of my favourite cities. I can't wait to go back!